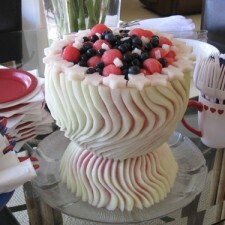 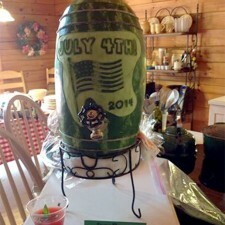 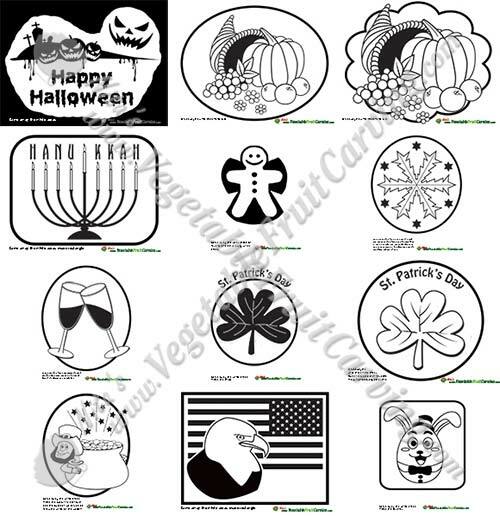 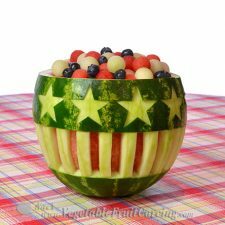 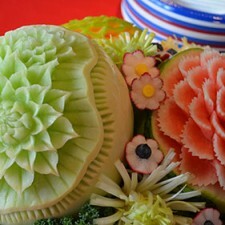 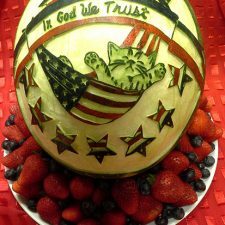 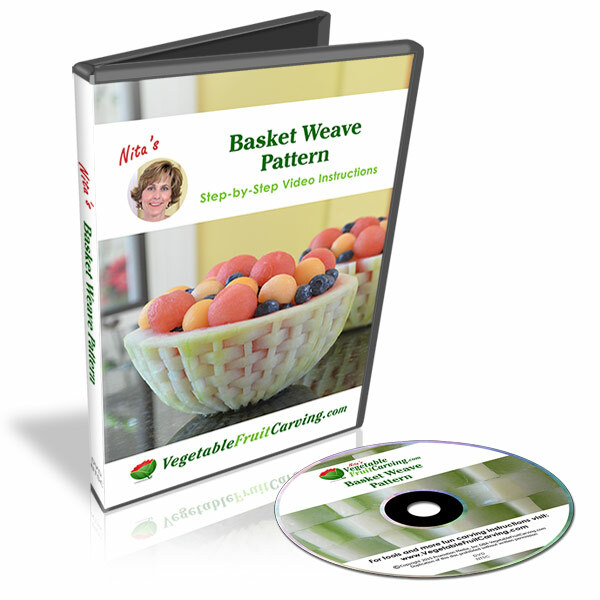 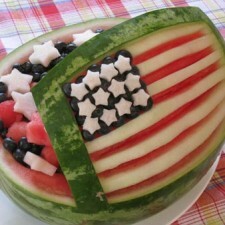 Are you looking for a last minute idea for a decorative 4th July watermelon salad bowl to bring to a party? 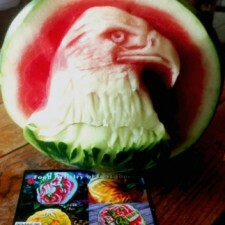 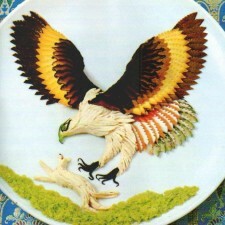 Here is an idea for you. 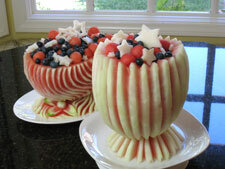 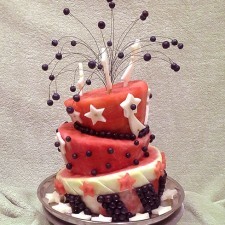 A red, white and blue star spangled fruit salad.